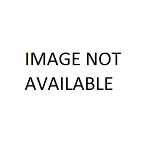 When shopping for an inground basketball hoop, monitoring variations of the same, or similar, feature is important to make sure you are getting the best basketball goal for your money. We will compare several manufacturers of basketball systems in this post and hopefully help differentiate between basketball system features before you purchase. Perhaps the best place to start in comparing basketball systems is the backboard material. Backboards today are essentially made of one of four materials: glass, acrylic, polycarbonate, and plastic. When looking at a basketball system, if the backboard is made of glass, they typically are referring to tempered glass. This glass is the same type as that on your windshield of your car. Acrylic backboards are also almost always frequently referred to as acrylic by the manufacturer, though you might see EM5 listed as the backboard material of basketball systems made by Lifetime Products. If you see EM5, that means acrylic. Polycarbonate backboards are also almost always referred to as polycarbonate; however, you might also see Makrolon and shatter guard for backboards on certain systems made by Lifetime Products. If you see this type of wording, or similar, they are referring to polycarbonate. 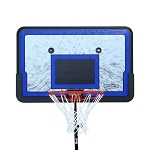 Lastly, plastic backboards are rarely referred to as plastic in product descriptions. For instance, Lifetime Products will normally refer to their plastic backboards as polyethylene. Spalding and Huffy call their plastic backboards Eco-Composite. Both manufacturers have slightly different plastic construction. For instance, Eco-Composite from Spalding and Huffy means that the plastic is made from recycled materials. 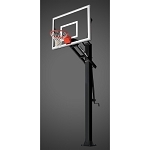 Nearly every basketball hoop manufacturer any more has some component on their basketball goals that allows the user to raise and lower the backboard. Of these different options, Lifetime Products is the most unique in their approach, though they do share one mechanism design with some Spalding and Huffy basketball systems. This mechanism is probably the oldest mechanism still available on some in ground basketball systems. The mechanism uses some sort of stick, such as a broomstick pole, to engage the mechanism. Lifetime Products refers to this mechanism as the Quick Adjust, while Spalding and Huffy call it a Ratchet Adjustment Bracket. These are the same mechanism with the same functionality and adjustable range. Lifetime Products then goes off on their own with several different handle height adjusters. Their mechanisms include the Speed Shift, Action Grip, Power Lift, and Rapid Cam. These mechanism engage in the same way, using a handle with a trigger; when the trigger is engaged, you either push up or pull down on the handle to raise and lower the backboard. Each of these mechanism are listed in order of increasing strength and stability. Each step up provides added design features to help provide added strength, and sometimes ease, of using the mechanism. No other manufacturer uses any similar design as of now, so these will not have any direct comparisons from other manufacturers. Spalding and Huffy, Goalsetter, and Goalrilla all share a similar mechanism on many of their inground basketball systems. The mechanism is a crank that you operate using a rotating lever. On Spalding and Huffy basketball goals, this mechanism is referred to as U-Turn. Goalsetter and Goalrilla did not name their mechanism by itself and simply refer to the mechanism as a turn crank in most instances. The only comparison that can be made between the cranking mechanism and Lifetime Products Power Lift and Rapid Cam is that these mechanisms all allow infinite height settings between the lowest and highest setting so you can engage and disengage the mechanisms at any time in the movable range. Of all of these height adjustment mechanisms, Goalsetter's turning crank allows the lowest height setting at 6 feet. My family has both a Lifetime hoop and a Goarilla hoop. Our Lifetime hoop is a portable hoop, and the Goarilla hoop is an in-ground hoop. I must admit that I prefer the backboard for the Goarilla hoop. It seems to me to be much sturdier and doesn't shake around as much, whereas the Lifetime backboard shakes around a lot, however, I think this is probably due to the fact that one is an in-ground system and another is portable. When it comes to height adjustments though, I much prefer Lifetime. Their hoop is WAY easier to adjust then the Goarilla hoop. My dad and I both cannot adjust that Goarilla hoop without incredible effort. The Lifetime hoop, on the other hand, I just grab the handle and pull it down, and BOOM, the whole hoops adjusted. Our Goarilla backboard has a larger pole than the Lifetime, but I don't really think it affects anything. They are BOTH phenomenal products. Thanks for all of the information. We are looking at getting a basketball hoop installed and now I know a lot more about them and that will definitely help me make a decision as to which one to buy. You can reach our customer service department at 801-732-0601 if you need assistance choosing.